AUSTIN, Pa.---David W. “Dave” House, 58, a longtime resident of Austin, formerly of Coudersport, passed away on Monday, November 19, 2018, in UPMC Cole, Coudersport, after suffering an apparent heart attack at home. Born on April 21, 1960 in Coudersport, he was a son of Harold and Alice Ayers House. On April 30, 1983 in Coudersport, he married Hope D. Hopkins, who survives. David was a graduate of Coudersport High School, Class of 1979. He was employed by Austin Borough for over 21 years. David’s greatest love was his family. He so enjoyed the time he spent with his granddaughter, Brooklynn, who he lovingly nicknamed “Trout”. He loved to work in his garage with his son. Surviving besides his wife are three children, William F. “Fred” (Nicole Cremeans) House and Deonna M. (Dennis) Snyder, both of Austin, and Jerry S. Springer of Bellefonte; three granddaughters, Brooklynn Rose House, Sabrina A. (Michael) Bacon, and Jessica M. Wilson; four great-grandchildren, Pierce M. Bacon, Nikole A. Wilson, Peyton D. Bacon, and Shaunna R. Wilson; two sisters, Barbara (Donald) Cowburn of Howard and Fern Davis of Holly Grove, Arkansas; a brother, Douglas H. House of Austin; and several nieces and nephews. In addition to his parents, David was predeceased by a daughter LisaSue Springer. Currently there are no services planned. Burial will be in Eulalia Cemetery, Coudersport. Flowers are respectfully declined. 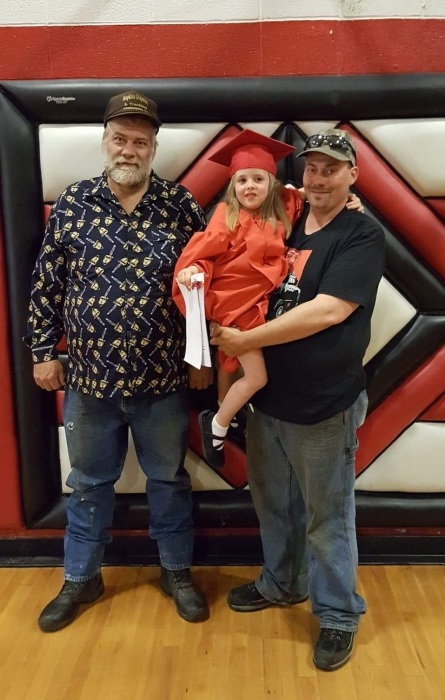 Memorials may be made to the family to establish a college fund for his beloved granddaughter, Brooklynn, c/o PO Box 353, Austin, PA 16720. David’s family has entrusted his care and cremation to Kevin J. Dusenbury, funeral director/owner of the Virgil L. Howard Funeral Home, Shinglehouse.